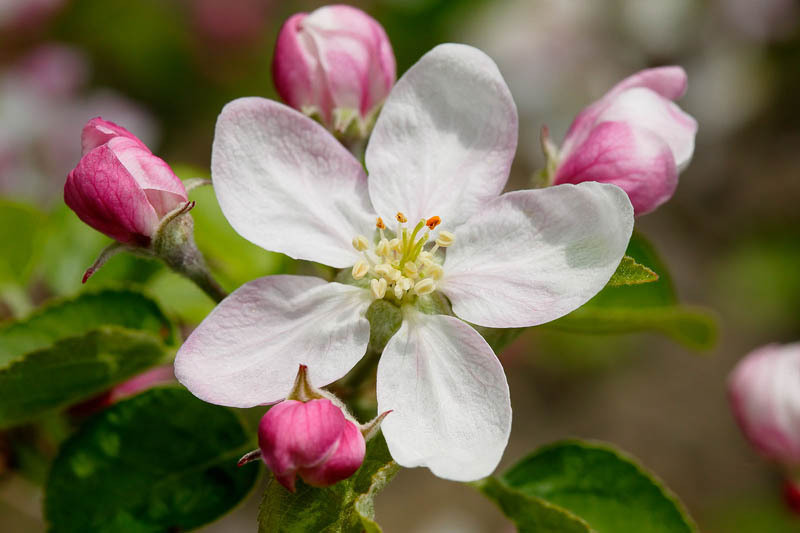 Close-up of apple-tree blossom with white petals and yellow stamens. White bloom and pink buds of apple-tree. Spring blossom of tree.